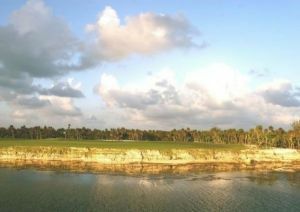 We offer a choice of over 28 golfcourses spread out thru Yucatan Peninsula. Book green fees and tee times in REAL TIME and get your confirmations immediately. 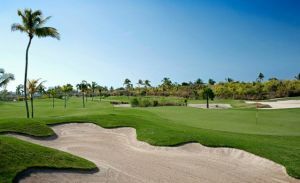 Playa Mujeres Golf Club is located within 930 tropical acres of Playa Mujeres Resort. 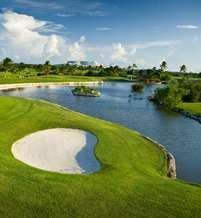 Just seven miles north of Cancun in Quintana Roo, Mexico, the golf course sits in between the Caribbean Sea and Chachmochuc Lagoon. 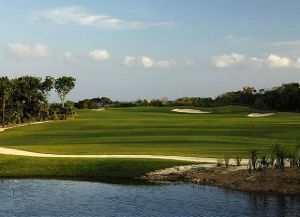 The Riviera Cancun Golf & Resorts is a 18-hole course which was built in the year 2008 and designed by Jack Nicklaus. He has done remarkable job carving this gem using the natural contours of the terrain. 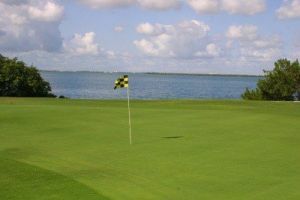 The course is the most recent addition to Cancun. It is boasts strategic bunkering, immaculate greens, wooden bridges and the peaceful tranquility of the natural reserve that surrounds the course. Come to Paradise Village for a truly unforgettable golf experience. 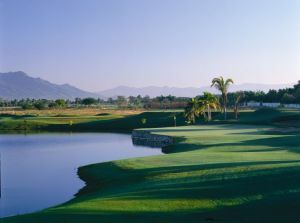 Play the spectacular El Tigre Course, described as one of the most challenging courses in Mexico. "Create the most exciting championship golf course in Mexico”, was the challenge given to the team of Von Hagge, Smelek and Baril, designers of over 200 of the world’s finest golf courses. The result … a 7,239 yard masterpiece. The memorable experience begins upon arrival at the Club, as golfers pass through an impressive stone archway resembling a Mayan temple, beside which a real Bengal tiger lives securely in his habitat. Further in, the 45,000 sq. ft. clubhouse sits perched in the heart of EL TIGRE offering spectacular views in all directions. 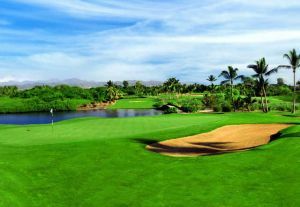 Flamingos Golf Club is one of the most renowned golf courses in the area. It is located at the spectacular Banderas Bay, 5 minutes away from Nuevo Vallarta, and it offers a different option for enjoying a magnificent game surrounded by a gorgeous natural environs. This golf course has the special feature of being situated around natural mangroves as well as an array of bird’s species, fruit trees and the possibility of admiring the local fauna in its habitat. 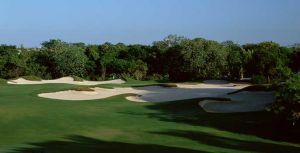 Flamingos golf course has been designed by Percy Clifford, who has brilliantly created its 18 fairways surrounded by a stunning tropical jungle landscape. 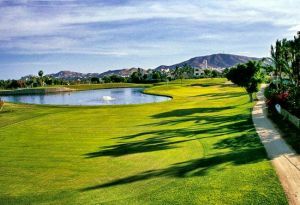 Our 18 holes are not only a great challenge for the most experienced golfer, it is also an excellent alternative for having a lot of entertainment and the privilege of being in touch with nature. Bunkers, lakes and narrow fairways, strategic placed entrances to the greens and the contrasts with its noble tees make of this golf course a world-class golf experience. Without any doubt this is a great place where beyond the game and its spectacular design you’ll enjoy a relaxing atmosphere, you can breathe the most pure air and admire beautiful species in its natural environs. Welcome to Flamingos Golf Course! Once a small fishing village, this now internationally-renowned tourist resort offers golfers an extraordinary 18-hole par 72 golf course to practice their favorite sport, surrounded by breathtaking views of the Sea of Cortes. 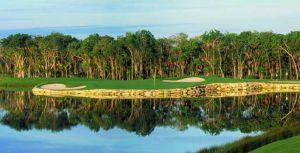 It is perhaps at the executive golf course at Mayan Resorts Riviera Maya that Nicklaus Design, the world's foremost Golf Course design firm, best captures the innovative and revolutionary essence of the Mayan Palace style. An 18-hole par 54 this 2923-yard long filled with radiant white sand traps, the dark tones of natural stone lining pristine lakes, the deep, lush hue of the greens and the waste bunkers, this course is a garden of delights for golf lovers. An imposing golf course with many surprising features, for example the 276 yard-long 13th hole played into the prevailing wind. The 17th, the course's signature hole, nicknamed Donna-green"", boasts two bunkers on either side of the green and one more at its center, making it a one-of-a-kind, and notoriously difficult to escape from with a par.